GoDaddy provides web hosting solutions for Linux and Windows servers that allow users to host their website in one of their servers and assign it a unique DNS, which serves as the address so that people around the world can find and view their website. We compiled GoDaddy user reviews from our website and around the web and determined that it has generally positive ratings. We also shared its available pricing options. Ready to learn more? Visit GoDaddy. Users who gave GoDaddy a positive review said that it provides a great control panel that makes it easy for them to access emails, upload and store bulk site files, and install add-ons. Excellent customer support was consistently cited as well. Users who gave GoDaddy a negative review said that Godaddy hosting for large scale websites is really expensive compared to its competitors. GoDaddy offers two server plan types with several tiers: Linux (ranges from $2.49 to $29.99/month) and Windows (ranges from $2.49 to $16.99/month). 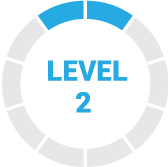 The main differences between the plan tiers include the number of websites that can be hosted, disk space storage, DNS management, MySQL databases, as well as the number of subdomains. Odin Plesk – It allows you to easily manage users’ servers, applications, and more with this control panel for Windows. Cage FS – It protects web content through a virtualized file system. Domain Name Registration – How To Register + Helpful Tips — Registering a domain is a simple task. However, there are a few possible stumbling blocks you may run into when completing the task. In this guide, we’ll go through the process of registering a domain and what missteps to avoid in order to obtain your perfect domain name. 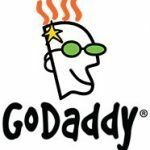 How many websites can I host with GoDaddy? GoDaddy’s Economy plan allows users to host one website, while Deluxe, Ultimate, and Maximum plans can host unlimited websites. Can I transfer my existing website to GoDaddy Web Hosting? Yes. You can move your existing website to GoDaddy by uploading the website files via GoDaddy Hosting Control Center or through an FTP client. The video below explains web hosting basics and why it’s essential to make your web address visible on the web. Not sure if GoDaddy is the right fit for you? Read our reviews of all top web hosting providers. 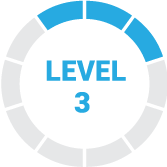 Easy to use and they seem to manage it for you – they notify you repeatedly of upcoming deadlines and renewals. When I changed platforms they were very helpful in assisting with this process. Lots of add ons – you can end up spending alot of money for things you don’t really need. The great thing that GoDaddy has is the speed with respect to the Hosting service, I am very happy to have my website implemented in its platform because it has made the web is fluid, that does not have any type of interruptions. On the other hand, I also love the way to organize the files on my website, it generates confidence. I have had some complications to modify the templates of the website, these templates must be uploaded in a different section offered by GoDaddy, however, this section does not work correctly. GoDaddy implements an excellent ability to keep the web active. We like how GoDaddy has Office 365 integrated into its email system, and we also enjoy how its domain and hosting platforms are very easy to use. We use WordPress with GoDaddy’s hosting, and we also use GoDaddy for our domain name and emails. We enjoy the GoDaddy themes for WordPress as well; they are very professional. We dislike how expensive GoDaddy hosting is; one year costs over $89 just for hosting. 1&1 is cheaper, starting at $11.88 for the first year, hosting, domains, and emails included! GoDaddy also makes WordPress complicated with its page-builder for WordPress, and Managed WordPress just ruins WordPress with more complications. Pricing only is the big issue. I love GoDaddy for the following reasons: – It is reliable in the sense that I can store my web in a fluid way, I can store various functionality that I want my website to have without the need to establish strong commands or parameters. – Its design is exclusive and it helps me to be able to organize my ideas and have a clearer work expression of the page. – Fast, fluid hosting that helps me a lot in my work area. I like your Hosting service very much, however, I have had strong problems with the automatic payments registered in my PayPal account, since GoDaddy has charged more money on several occasions and I have had to complain about it. I totally like the way GoDaddy helps me maintain my website, it’s a service that never gets interrupted. The Hosting service that GoDaddy has offered since it started in the market, is surprising, I had never known a service that is shared with GoDaddy, since this in a few words allows me to freely interact with each of the appropriate features and specific to a web, control it and have a simultaneous monitoring of each access to a web with this hosting. It requires a lot of specialization with respect to the features and functions such as: Web storage, creation of sections for reedirection and many other things that little by little are learned but that is very difficult for the user. It has a fast service with respect to Hosting, without any doubt, paying for its services is the best.